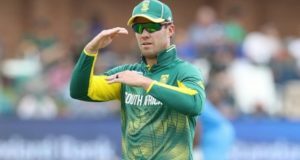 South Africa batting star AB De Villiers who retired from international cricket in May, will soon be seen in action in Australia as Melbourne Stars officials are in contact with ABD for the upcoming eighth edition of Big Bash League. In an exclusive talk with Twenty20wiki, an official from Stars told that team management is in talks with former South Africa captain to be the part of Australia’s premium t20 BBL league. “Yes, we are in touch with AB De Villiers and hope we can bring him to the squad for 2018-19 big bash edition,” official said to twenty20wiki.com. In July, there were reports that Sydney and Melbourne were interested in signing ABDV for the tournament. Hence we tried to contact both clubs officials and succeed to get in touch with Stars officials while Sixers officials denied to contact AB. 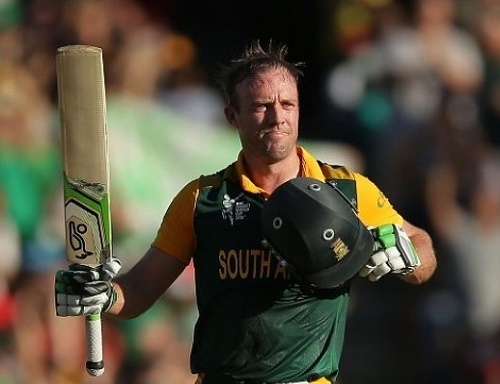 “AB De Villiers is a big asset to world cricket, especially in twenty20 format. And if he gets into our squad, it would a great addition for us in the upcoming season.” He said. Proteas legendary star hasn’t come to Australia to be a part of Big Bash League. And it will be a huge boost for the competition if ABD comes to the event. “We would love to see de Villiers in the Big Bash League, and a player of his calibre would obviously be of interest to the Stars,” Melbourne Stars CEO Clint Copper said in a report published by bigbash.com.au just after De Villiers retirement announcement. De Villiers has retired from international duty and will only be seen playing in twenty20 leagues. He has already signed up for Pakistan Super League 2019 season and in talks with one of the Bangladesh Premier League teams as well. “Before making final deal with AB, we need to figure out for how much time he’d available to be the part of squad. The fact is he’ll be playing in PSL in February and our season to conclude on 17th Feb with final while Pakistan Super League to begin on 14. Hence we are making sure the number of matches he’ll be playing for us. As the deal reaches to final decision, we’ll announce officially,” Stars source confirmed Twenty20 Wiki. 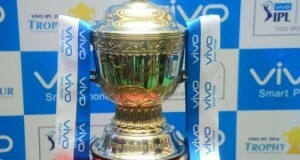 The 8th edition of KFC Big Bash League is scheduled to kick off on 19 December and this season is special one as first time, all teams will play 14-14 matches in the early stage of tournament on home-away basis. Melbourne Stars haven’t won BBL trophy. They lost 2015-16 big bash final against Thunder.